A Literary Odyssey: Top Ten Tuesday: Rewind. 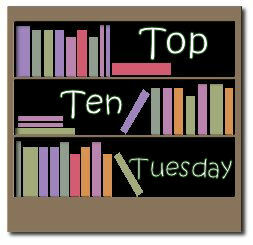 Top Ten Tuesday is hosted over at the wonderful The Broke and the Bookish every week. It is a fun meme where participants pick their "top ten" in each topic for the week and share. I don't participate each week, but when the mood strikes, I go for it. That has worked out for me, since this week's topic is "rewind." Participants get to pick a topic that they may have missed and post their list. You can find a list of past topics here if you are interested. I decided to go old school and complete the second topic they hosted, "Top Ten Books I'd Want on a Desert Island." So, here they are in all their glory (not in any kind of numerical order). 10. Sammy and Juliana in Hollywood by Benjamin Alire Saenz: Hand's down, this is my favorite YA novel of all time, and it has dawned on me that I have not mentioned it nearly enough. It is a story about a group of teenagers who live in a barrio in New Mexico. The story is mainly about Sammy, but connects to the issues he has with his friends and growing up in a racially tense area. It is a beautiful piece of Chicano literature and if you have never heard of it or read it, you need to. 8. The House of Mirth by Edith Wharton: Wharton has long been a favorite of mine and this is my favorite. It is so heartbreaking and sad, but I love every word. Again, it has emotional depth that I don't think I would ever tire of it. 7. Complete Novels of Jane Austen: First of all, this is not cheating because such collections exist in one volume. :) But really, I would want all of Austen with me. There is an Austen for every occasion. Romance? Pride and Prejudice. Fun and silliness? Emma. Deep-rooted passion? Persuasion. Plus, I would be able to read the world's greatest love letter any time I wanted to (and if you are unsure what letter I am talking about, clearly you haven't read all of Austen. Go do that. I'll wait). 6. 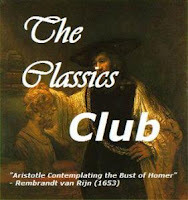 The Odyssey by Homer: I love the drama and intensity of this one. I love the lyrical style and interference of the Gods in mortals' lives. I love the trials and tribulations of Odysseus and Telemachus. And since I am on a desert island, I can read this the way it was intended: out loud and at the top of my lungs. 4. Jane Eyre by Charlotte Bronte: Aren't you glad I can finally add this to my list? This is such a beautifully romantic story that I absolutely adored (I can't give away too much since my posts aren't up yet). 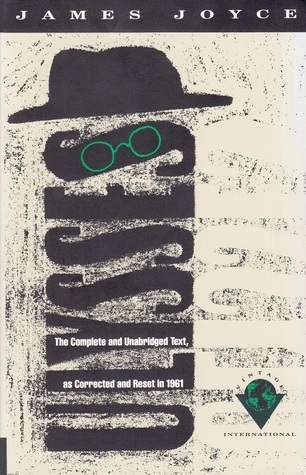 I can't wait to read this one again and soon. 3. Ender's Game by Orson Scott Card: SURPRISE! A sci-fi novel! But this is the book that got me started on my journey through that genre and my life wouldn't be complete on that desert island without it. This book has truly shaped me as a reader and I wouldn't feel whole without it there. 2. The Book Thief by Markus Zusak: This might challenge that other YA book up there for my favorite YA novel of all time, but it has been so long since I have read it, that I can't give it that title. This one is also beautifully written and narrated by the sarcastic and grim character of Death. It is a haunting and moving story that I knew I would cherish in my island solitude. 1. The Bible: There is lots to read here-history, poetry, inspiration. This is the book to beat all other books and would offer me hours of patient and quiet study. Have you seen the new illustrated bible? I love this list. You gave me a couple new books to add to my to be read list. Great list. I'm not sure I would take the Odyssey :) but I would definitely take the Bible. I love this list so much. 1, 2, 3, 4, 5, and 7 would absolutely be in my top 10. I think I'd have to bump the complete HP up there as well. Great choices! I'd want most of the same books! Great lists. I love that you have a sort of alternate list. The Book Thief is so great. I devoured that book. Great list! I'm not sure what books I would include... I'm terribly indecisive that way. Although, if I can count all of Austen's novels as a "complete works" collection, that would make one pick easy! The Bible is a great choice, too, because it truly can be read over and over, it's just so dense. Hmm...I might have to include Anne of Green Gables too, as that seems to be the one book I return to most often. But as for the rest? I couldn't say! I love how you numbered down from 10 to 1. I have to agree with you about the Bible, it is a never ending source of history, poetry, and inspiration, not to mention teaching and comfort. great list. I'd probably have Shakespeare and Austen too. But I'd swap out the Odyssey for the Iliad. Definitely Crime and Punishment and Jane Eyre. And Also, Beloved by Toni Morrison, that's one I can reread over and over again.